In hindsight, I had mixed feelings about that decision because of the distractions of life often put me behind schedule, working to catch up. At the same time I am both troubled by the number of weekends given up in order to stay on schedule, and thankful for the times I disconnected completely from the world to melt into a book. I once spent an afternoon in a hammock at the park finishing nearly all of Dan Brown’s Origin. In the end, I am resolved to contentedness, which spurred me to write this post and detail the lessons I learned. To answer a question some readers may have, my favorite and least favorite books of those I read were both biographies, interestingly enough. That may say something about my idea of how much of a social (and judgmental) species we are; or at least, I am. There is something about the way Musk thinks about the world that is captivating. Watching interviews with him and seeing what his companies are doing have new meaning after reading this book. He sees a vision 100 steps out and works backward to what will be needed today to accomplish that goal. He sees a life for humans into the far-reaching future that must account for what is happening today. 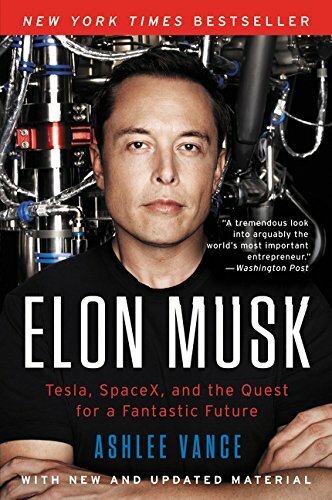 Musk chose Vance to be the one who got inside access and nearly unlimited interview time to discuss his life. With that, Vance captured the brilliance of what this native South African went through to become who he is today, and where he is going in the future. This book is about Thomas-Alexandre Dumas. If that name sounds vaguely familiar, it’s because he’s the father of Alexandre Dumas, author of The Three Musketeers. The book attempts to detail the war hero’s life, and in a way, it does that. The issue I took with Reiss’ book is that it is filled with war history outside of Dumas’ life. It was difficult to keep track of what was happening at times because of the immense amount of fact listing. 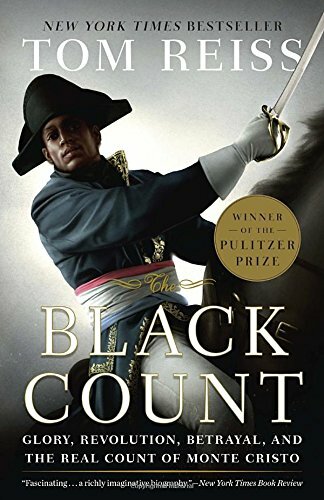 The book runs over 400 pages and is a great piece on French war history with the narrative of Dumas, but if it was just about Dumas, it could’ve been half the length, if not less. Also, I care not that it won the Pulitzer. My guess is that it won because of what the book is about, not what its intention was. There are multiples way to accomplish anything. There are a few ideas packed in this one. First, if an author tells you their way is the only way, be wary. I find when I ask for or give advice, that subsequent advice is a mix of various sources and ideas. Second, there are numerous books that say almost the same thing but take slightly different approaches to the topic; Geoffrey Colvin’s Talent is Overrated and Matthew Syed’s Bounce have a lot of overlap in content and concepts. Third, if you’re trying to learn or accomplish something, looking at the subject in different ways can help you form a unique blend of them. You might even come up with your own and write a book about it. Everyone has an opinion, Even you. Don’t assume the person writing is right, and don’t assume you’re wrong. Likewise, don’t assume you’re right and the author is wrong. Wait, so what should I do? Honestly, you should question everything you read. You may end up agreeing with it, but you’ll stand a lot steadier on that positive decision than blindly thinking that this particular author’s book deal means they’re the last word on the subject. The books I read sometimes took opposing viewpoints and sometimes people I discussed them with vehemently disagreed with the author’s position. If that happens, great – see #3 and #5. Talking about a book helps you process what you read. Fiction or nonfiction, your brain doesn’t stop managing that incoming information just because you stopped reading. I started taking notes on books as I read. Important information started sticking and combining in ways I had never imagined before. While you’re consuming information (reading or listening), your thoughts are continuously interrupted as you continue down the page. Ever stop reading and stare off into space, trying to sort out what you just read? That’s what I’m talking about here. Except outside of just thinking and processing, you should share with others. This helps you work out ideas that were in rough draft form and need some red-pen-editing that only comes through seeing it out in the open, whether you’re typing it or talking about it. Always finish a book. A lot of people will disagree with this idea. They think it’s a waste of time that could be spent elsewhere. If you’ve read Jane Eyre, you’ll probably understand this lesson a little more. Trust me, I get not wanting to finish a book. Despite my interest in the subject matter, Darwin’s On the Origin of Species was difficult to slog through. Think about it this way: there are two outcomes when you finish, after you consider throwing the book away. Either the author changes your mind and you’re thankful you finished; or the author doesn’t change your mind, but now you understand their point in its totality. They may continue to say the same thing, or the plot is just unbearably boring, but toughing through can either reap awesome new perspective, or the right to fully criticize the whole book. “Holy perspective, Batman!” If you want to know just how limited your experience is in the world, it isn’t just about reading more. You have to read a wide variety of authors from different backgrounds, cultures, and educations. Reading Hillbilly Elegy and We Were Eight Years In Power back-to-back will give you some idea of what I’m talking about. For those readers who don’t know me: I’m a heterosexual, cisgendered white male. I’m also an atheist. If it weren’t for my dreamy blue eyes, I’d be as vanilla as it gets. In some estimates, perspective seems to naturally escape me. I put myself out there and read different opinions to see the world through other people’s eyes. I would challenge everyone to read perspectives that differ greatly from their own. Reading a book more than once gives you new ideas. As I discussed above, continuing to read will naturally interrupt your thought. But a lot still sneak in. Anyone who has made it two or three pages and realized you have no idea what you read knows what I mean. You have certain trains of thought when you first read a book, or consume any kind of media; these include the ones I talked about in #3. For instance, you can never watch “The Sixth Sense” for the first time ever again. Thus, when you read a book again, those old thoughts might take a backseat to new ones, or potentially jump tracks and lead that train to a different set of conclusions. The two books I read most frequently over and over? Frankenstein and Fahrenheit 451. Old books can be surreal. Whether it was Marcus Aurelius’ Meditations or H.G. Wells’ The Invisible Man, I found I was continuously reminding myself of when these books were written. What was life like back then? What was their situation? With Aurelius, I was reading words written over almost 2,000 years ago. All too often we remove some of the context of what we read and focus solely on the content, deleting the writer and their environment. I would challenge you to go find a book over 100 years old and read it from the perspective of the person writing it.